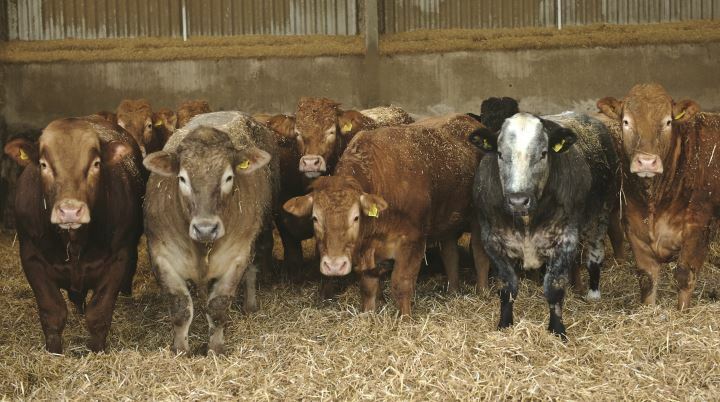 Managing feed to deliver consistent and high daily liveweight gains is key to the ongoing success of one Exeter-based beef finishing unit. Troy Stuart, together with his father and uncle, is a shareholder in the finishing unit at Wood Farm, which operates as part of Stuart Partners Ltd, at Hill Barton Business Park, Exeter, finishing between 2,000 and 3,000 beef cattle a year. Here they discuss their tips to making the business such a success. 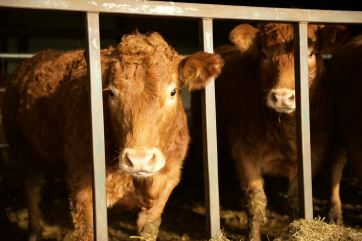 "The aim is to keep cattle on site for no more than an average of 90 days," explains Troy. "This helps to keep feed costs down and ensure an efficicnet turnover of animals; we don't want to carry any poor performers for too long. With such a short time on farm, it is key that we maintain strong, consistent average daily liveweight gains throughout the cattle." Beef cattle are bought in from a range of private sellers and at auction, with a focus on selecting animals with the best potential for efficient finishing. "We buy in cattle based on type and weight, with the aim of bringing animals in when we think they are ready for the final finishing stage," continues Troy. "Depending on breed, age ranges for bought-in stores will be between 18 and 27 months." Cattle are weighed on a fortnightly basis to track progress and help identify any poor performers that need to be moved on. "It is important to get the feed balanced, so that the cattle start taking in as much feed as possible as soon as they come on the farm and then maintain high feed intakes," continues Troy. "We feed everything ad lib, and find this the most efficient way to run our system." As well as plenty of square bale silage, which is high in dry matter, cattle are fed with high starch Prime Grade + Levucell TITAN from ForFarmers at a rate of around 10-12kg per animal per day. "The high starch content is good for muscle growth and helping with our weight gain targets. ", explains Troy. "The Levucell protected live yeast is also beneficial, as it helps to stabilise rumen performance and minimise stomach upsets; preventing cattle from stalling and ensuring that cattle are getting the maximum nutritional value from their feed." "Thanks to careful management of the unit and the right balance of feed, we are able to achieve average daily liveweight gains of around 3kg - despite all the variation in gains between the different breeds we have on site," concludes Troy. "This is a great result and helps towards the running of an efficient and profitable beef finishing enterprise." Regular weighing, careful stock management and a calculated approach to feeding have enabled Edward Mathers to develop an award-winning beef enterprise.